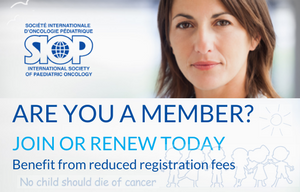 It was a year of solid achievement for the International Society for Paediatric Oncology (SIOP). SIOP members, leadership including continental branches, committees, working groups, collaborative societies and staff, often liaising with other organisations and partners, worked towards fulfilling the goals and objectives of SIOP. 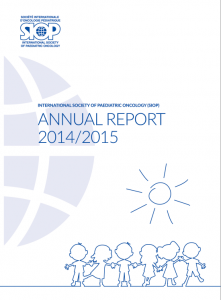 The 2014/2015 SIOP Annual Report highlights many of these accomplishments and diverse initiatives that serve our members and the paediatric oncology community worldwide. You can see the 2014/2015 highlights of SIOP Achievements in our annual report. As we look forward to 2015/2016, SIOP will remain true to its vision and mission. SIOP will continue to be a catalyst for possibility and progress. 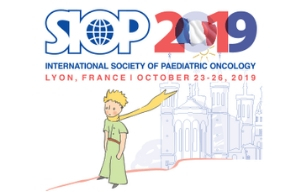 And above all, SIOP will remain the focal point for paediatric oncologists around the world to meet and share their knowledge in the fight against childhood cancer.